BioDrop | Tamar Laboratory Supplies LTD. 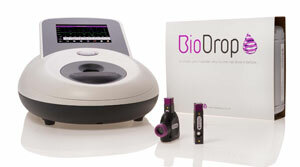 Dedicated to providing innovative products, the BioDrop family overcomes many of the disadvantages of low volume instruments, providing the simplest way for life scientists to accurately quantify microlitre volumes of DNA and protein. The BioDrop Cuvette and BioDrop UV/VIS spectrophotometers are for use in life sciences laboratories. The spectrophotometers are available in a variety of configurations. 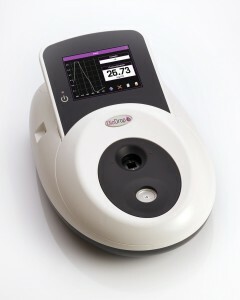 BioDrop µLite offers a built-in sampling port for quick and accurate measurements down to a 0.5-µL sample volume. With no moving parts, the technology delivers path length and measurement accuracy. BioDrop Duo combines the sampling port with a 10-mm cuvette holder for UV/VIS spectrophotometry and is optimized for use with the BioDrop Cuvette. BioDrop Touch features a standard cuvette holder and is compatible with the BioDrop Cuvette using an integrated magnetic pipetting station. The instruments are available in stand-alone — with software controlled via a large, high-resolution color touch-screen — and PC-controlled versions. BioDrop Resolution Life Science PC software is supplied as standard. USB connectivity offers easy PC connection and export of data. BioDrop Cuvette is a robust method for microvolume measurement of DNA, RNA and proteins. Its design guarantees that the path length is accurate to within a few microns. The simple optical layout provides high energy transmission, ensuring accurate measurements over a wide dynamic range.